Those who drive drunk have made a conscious decision to risk their own lives as well as the lives of innocent people. The Little Rock personal injury lawyers at the Minton Law Firm offer provide aggressive representation to help drunk driving crash victims recover the financial security they need to move forward with their lives. If you were hurt or a family member was killed in an accident caused by a drunk driver, please call us at 501-404-5433 to arrange your free consultation or contact us online to tell us your story now. Our attorneys are dedicated to helping injury victims from the greater Little Rock and Benton areas and throughout Arkansas. Drunk driving crashes claim hundreds of lives per year in Arkansas. 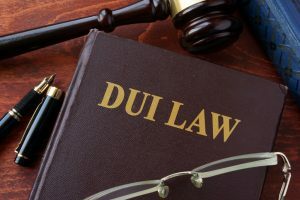 Despite increased awareness about the dangers of drunk driving and laws intended to limit related crashes, driving while intoxicated remains more common than many people would like to admit. According to the U.S. Centers for Disease Control and Prevention (CDC), 10,497 people died in alcohol-related accidents in 2016, the last year for which comprehensive national data is available. The same year, drunk driving was a factor in accidents that claimed more than 300 lives in Arkansas. These numbers may seem shocking, especially considering efforts Arkansas has made to crack down on drunk driving, particularly among teens and young adults. 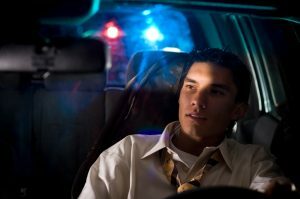 While punishments for driving under the influence (DUI) and driving while intoxicated (DWI) may deter some, the truth is that many drunk drivers are repeat offenders. In Arkansas, DWI and DUI charges are distinguished by the driver’s age and his or her blood-alcohol content (BAC). DWI applies to adults 21 and older who register a BAC of .08 percent or higher. For commercial drivers, the BAC threshold is .04 percent. DUI applies to drivers under age 21 with a BAC from .02 percent up to .08 percent. If an underage driver registers a BAC of .08 percent or higher, he or she can be charged with DWI. An underage driver charged with a DWI can face the same penalties as an adult, which could include fines, license suspension and jail time. Drunk driving is a criminal offense, but criminal charges don’t provide compensation to DUI crash victims. Drunk driving is a criminal offense, and those arrested for DWI or DUI could face misdemeanor or felony charges. Although drunk drivers face punishment for their actions through the criminal court system, these criminal cases don’t provide compensation for drunk driving accident victims. However, drunk driving crash victims and the survivors of those killed in drunk driving accidents still have the right to hold the offending driver accountable for damages. The civil court system allows injury victims to seek compensation for medical expenses and other applicable damages when another person’s negligence causes their injury. In the event that a drunk driving crash results in death, surviving family members may be able to pursue compensation through a wrongful death lawsuit, which is another form of civil justice case. The attorneys at the Minton Law Firm are dedicated to helping drunk driving crash victims seek the financial peace of mind they need. Insurance companies look for ways to limit what they pay to injury victims, even in drunk driving cases. Their initial settlement offers are rarely enough to cover victims’ immediate medical needs, and they often steer victims to accept these unjust settlements by promising prompt payment. As a former insurance adjuster, attorney Justin Minton knows the tricks insurance providers use in an effort to limit or deny payment to injury victims. As an accomplished lawyer, he understands the extensive medical costs and other expenses associated with motor vehicle crashes. If you were hurt or a loved one was killed in a crash caused by a drunk driver, call the Minton Law Firm today at 501-404-5433 or contact us online. We offer free, no-obligation consultations to help you understand your options, and we don’t charge for our services unless we successfully resolve your case.